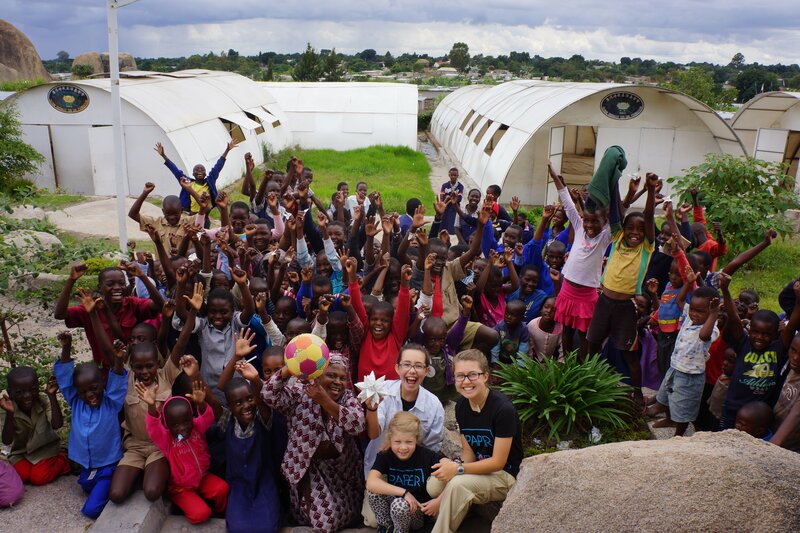 With Paper for Water, Isabelle and Katherine Adams are funding clean water projects through lots and lots of folds. Dallas sisters Isabelle (at right, age 15) and Katherine (age 12) Adams have turned the art of folding paper into more than $1.5 million for their nonprofit, Paper for Water, which funds clean water projects around the world. The only thing more shocking than what they have accomplished is that they celebrated their 7th anniversary last week, which means that Isabelle was in the third grade and Katherine in the first when the whole thing started. They had already been doing origami with their dad, who is half-Japanese and a local doctor, when a friend told them that the lack of clean water results in the death of a child every 15 seconds. Isabelle immediately came to two realizations: they had to help, and they had a marketable skill. So they started making ornaments. A lot of ornaments. You may have seen their butterflies hanging over the Galleria, or their ornaments at local craft fairs, or their decorated tree in the Neiman Marcus Christmas Book last year, which sold for $50,000 to a donor. Starting on November 22, they will have two trees on display at the Four Seasons Resort and Club Dallas at Las Colinas, each of which you can purchase for $25,000. 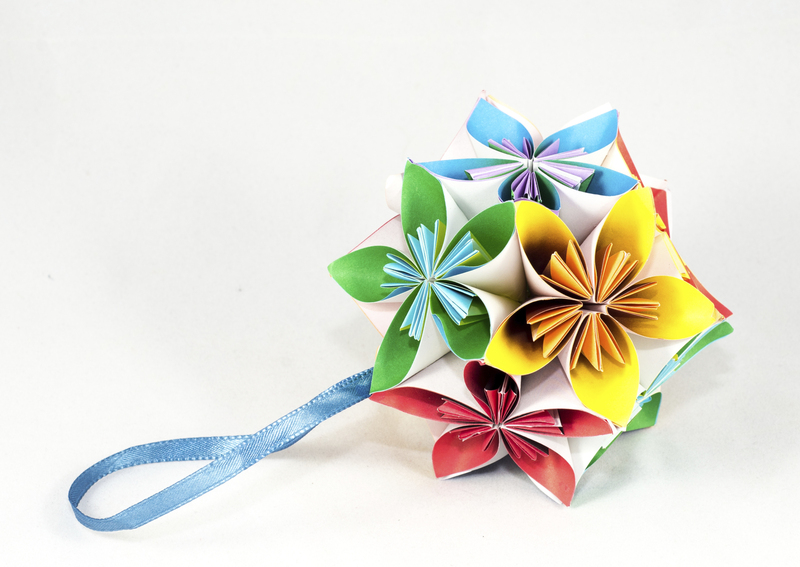 You can also attend a free origami-folding event with the girls in the hotel lobby on December 1. D: Whose idea was it to start Paper for Water? Katherine: So, it started seven years ago when my dad taught me how to fold origami. It was just a fun craft that I do with him. One of our neighbors, she had gone on two well-drilling trips with Living Water International. She came over to our house, and she explained about the world water crisis and how girls our age didn’t get to go to school because they’re hauling water all day, and she talked about how a child dies every fifteen seconds from unclean water. We thought that really wasn’t fair, and we wanted to do something about it. So, we took our first donations on November 3, 2011. We actually started at Starbucks. From November to the end of the year our goal was to raise $500 to $1,000, and on the first night of selling we sold out and we raised over $800. By the end of the year we had raised over $10,000 and overfunded a whole well in Ethiopia. D: Why do you think this concept, which seems so simple, has been so incredibly successful as a fundraiser? Isabelle: I think one of the things that makes us relatively unique is that not only do we focus a lot on providing clean water to people in other countries, but also on providing kids and adults, here in the U.S. and around the world, the opportunity to make a difference. The people who volunteer for us, they feel a real connection, because it’s a very physical thing that they’re doing to help us. You know, it’s a tangible thing. They’re folding paper. It creates this connection between them and the people they’re helping, and it makes them even more inspired to keep helping. Isabelle: Some of the folds are a little monotonous. But, I still love it. And honestly, the monotony is kind of nice sometimes, because it’s very sort of meditative. You can also do it while doing other things. It’s a great thing to do with people because you can talk. A lot of our volunteers fold while watching TV. I fold while watching Netflix, because it’s just the same thing over and over and over again. But I still really, really enjoy it a lot. D: I would imagine that you get a lot of sloppy folders. Is it hard to get people to do a good job so that you can put all these little pieces together? Isabelle: You’re being racially stereotypical. Katherine: No, it’s honestly true! They’re just who excel in it, and it just makes your day. Isabelle: Engineers and architects are just so amazing at it, too. D: What’s the most complicated thing you ever made out of origami? Isabelle: The most complicated thing I’ve ever done wasn’t actually for Paper for Water, it was actually a school project. I made this origami tiara out of around 440 little tiny pieces of paper. I just had to come up with it as I went. That was hard. D: You’ve had some big installations over the years. You hung 4,000 origami butterflies over the skating rink at the Galleria, you decorated a tree as a Fantasy Gift in the Neiman Marcus Christmas Book, which sold for $50,000 for a donor. And this year you’ve designed two trees at the Four Seasons. What’s been the highlight for you guys? Katherine: I think, honestly for me, it’s one you didn’t mention. In September, we did a much smaller installation at the Crow Collection of Asian Art, at the checkout. It’s all white flowers, probably around 300. But it’s very simple and elegant, and for me, that was probably my favorite. Isabelle: I’d say the Galleria is my favorite, ’cause it’s just hundreds and hundreds of butterflies. It was really cool to have so many volunteers that got together to help us make them and install them. It was just a beautiful installation. D: You have funded projects all over the world, in Nepal, Ethiopia, Kenya, Mexico, the United States. How do you pick what communities you’re going to work with? Isabelle: We work with Living Water International, and they’re the ones who have their boots on the ground in these countries. Most of the time they have long list of water projects that need to be funded that year, and they have people who request different projects to fund. Then we come in after those requests have been made. We take the ones that haven’t been funded. Katherine: That’s for all the international projects. For domestic projects, we work with Dig Deep. They’re the ones who are on the Navajo Reservation, and so they go around and they find families that still need a water tank, and they’re the ones who are installing those. D: You guys have raised more than 1.5 million dollars so far, and have to be two of the youngest CEOs of a million dollar nonprofit. You’ve already accomplished what others might try to do in a lifetime. What’s next? Isabelle: I probably don’t want to do Paper for Water for the rest of my life, but I do want to have a job that closely incorporates helping people and giving back. Katherine, you want to be a vet though, right? Katherine: Or go into the medical world. D: What do you think it is important for people to understand about the clean water crisis? Isabelle: I think just the concept of millions and millions and millions of people not having the most basic necessity for life is really hard for people to grasp. Even I sometimes have trouble just wrapping my mind around the idea of 844 million people not having water. I think once people begin to grasp that idea they become really motivated to help. It’s just there’s some people who just don’t really, they don’t realize the scope of the problem. If you don’t have water, nothing else is possible. Katherine: Just to put that number in perspective, 843 million people is more that twice the entire population of the United States. Like Isabelle said, sometimes when people hear that it’s just there’s so many problems that they get overwhelmed, but our tag line is “Bringing water and the Word to the thirsty one piece of paper at a time.” It’s just about helping that one person, that one community.